Coming Soon: 888 to release 777 Casino! Lord Bingo News Gaming Industry Coming Soon: 888 to Release 777 Casino! Fresh off the reels is a bombshell that’s guaranteed to send shock-waves across the industry! We’ve had our ears and eyes peeled to the grapevine, and the word on the street is that the legendary brand 888 is planning to unleash the iconic 777 casino site onto the gaming market! Rumourville is in overdrive and it’s looking like 777.com will be ready for its debut around mid-October. We are literally at the edge of our seats with all the anticipation! We should have had an inkling that 888 had some sneaky tricks up its sleeves when a short while ago it announced the launch of two new 777 casino rooms on its site for Live Roulette and Live Blackjack. Now we know that this was a just clever hint and an unexpected glimpse of what was to come! When we rolled over to the site, we tried to hunt down as much juicy gaming gossip about 777 as possible. So far we were only greeted by the mysterious splash screen, which we could only guess will transport players to the dust-ridden wilderness in the American Wild West. Surrounded by cloudy, blue skies, birds flying above and trees, on the horizon is the smoky outline of a big dusty city. We’re secretly hoping that the wilderness is the Nevada desert and we can cruise in a classic convertible for a retro adventure straight to the Las Vegas strip on the horizon! 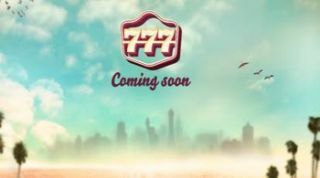 Across the screen is written ‘Coming Soon’ with the 777 branding – and we’re already can’t wait to see what else is in store! If the 777 casino site is anything like the unstoppable 888 site, we can expect an awesome welcome bonus, a hot blend of casino, poker, live dealer and other thrill filled games and generous promotions. We’re sure with the 888 team in its midst, 777 will have all the ingredients for a winning hit!